For some reason I can't see this topic here. 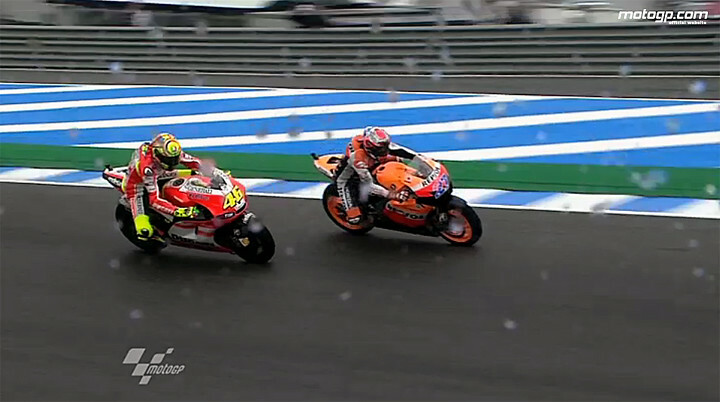 I am not a big fun of MotoGP, but watch the race when have a chance. Congratulations on Stoner's 1st win for his new team - Honda. Very well done. The races tend to be boring, there's no pits stops either to spice it up when it does get boring. But 2009 if we ever get a season like that again with great races like catalunya like that battle between Rossi and Lorenzo then I am sure I will be hooked. My favorite driver is a series of Motogp: Valentino Rossi, but the club is now more Superbike World Championship series in which my favorite is Max Biaggi. Max Biaggi and Mika Kallio with Aprilia? Max Biaggi had been told yet unconfirmed reports that the 2012 season, he will return to the MotoGP category of the Finnish driver's team guy. Biaggi did not mention this in a Finnish name, but in practice it can not be still, at least not at this stage, none other than Mika Kallio, as the 16-year old Niklas Ajo upward trend has just started his first full Cup season. Can't say that I'm a big fan of the sport but I like wheel to wheel battles. I started watching MotoGp in 2008 with Jorge Lorenzo's debut still then my sympathy is on his side )) He had a couple of scary incidents, but also great battles with Rossi. It's great that he's a champ, but of course I'd like him to win in a more tight battle. Hope he can do smth. with Hondas this weekend. So Mika Kallio just took a turn in MotoGP last year. 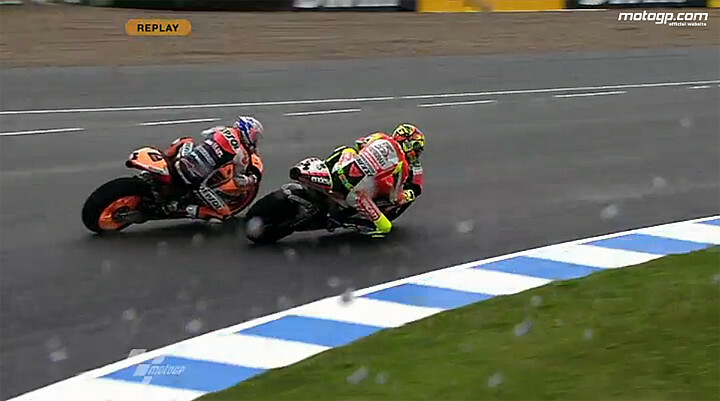 Kallio seems to be the same defect as Elias, or MotoGP used tires do not fit at all riding style. So far a good thing that got Suzuki to ride. British Eurosport2's commentators said that Elias spent last season Moto2 in every other softer alloys. 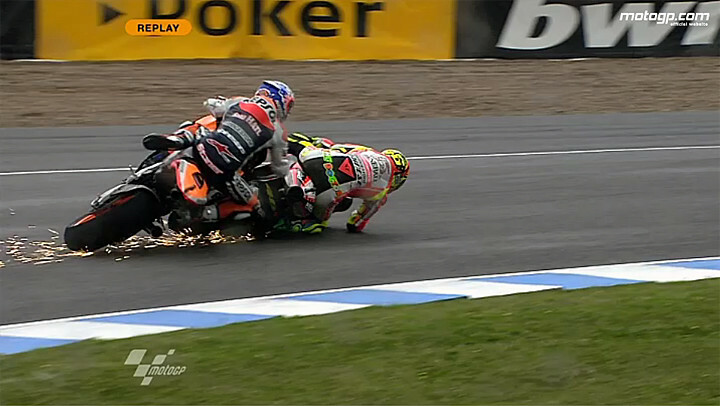 MotoGP has been used in recent seasons just really hard alloys. Elias is also a very distinctive style and wants the bike settings similar to HD, a, bow, or high. 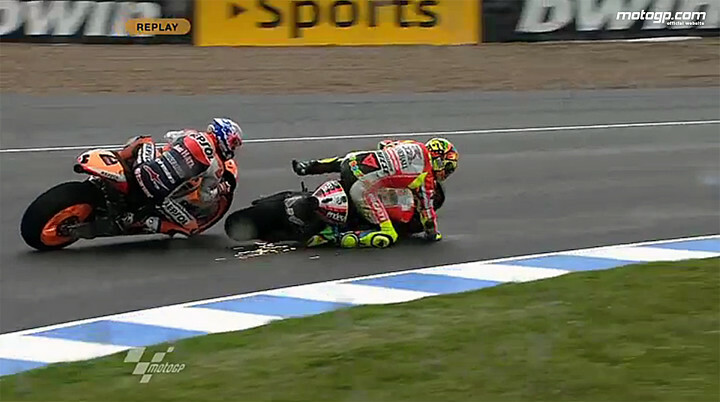 This style controls are obviously not possible in the current Honda MotoGP bike. 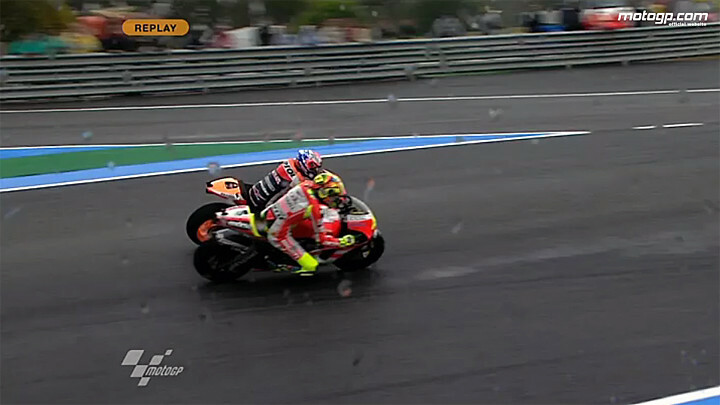 Great race today, stupid move by Rossi. Even worse because he was really fast today.